Contact Florida Slip and Fall Lawyer Gerson & Schwartz, P.A. Bravo supermarkets have become a popular grocery chain throughout the Southeastern United States. Like other grocery stores and supermarkets, it faces personal injury lawsuits from shoppers injured by slip and fall accidents on their premises. Spilled produce, leaking fridge and freezer sections, and other slippery conditions create hazards which can injure unsuspecting customers. After a slip and fall accident at any grocery store, contact Gerson & Schwartz to access professional legal representation. 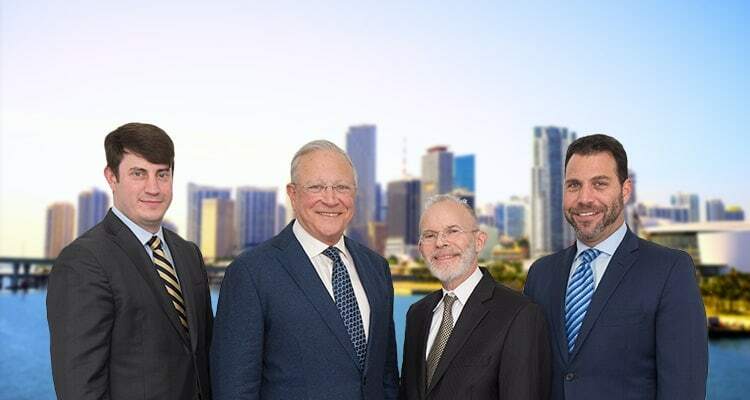 Our Miami premises liability lawyers have decades of experience in negotiating and litigating personal injury claims. For over forty-six years, Miami area residents have trusted us to protect their legal rights. The Extent of Your Injuries: Personal injury awards are based in large part upon the amount of medical bills that are incurred as a result of the accident. Even the pain and suffering component of an award is generally calculated based upon an often arbitrary ratio of the amount of medical bills. As a result, plaintiffs who sustain greater injuries will generally receive larger personal injury awards. Such was the case for a man who slipped at a Claremore, Oklahoma QuickTrip convenience store. The plaintiff was in an area marked by “wet floor” signs, but still slipped, and aggravated a preexisting injury in his back. His medical bills totaled $42,000, and evidence at trial indicated that he would require ongoing medical treatment in the amount of approximately $5,000 per year. The jury awarded the plaintiff $3.5 million dollars for his injuries, lost wages, lost future income, and pain and suffering. The Defendant Supermarket’s Conduct: When a defendant exhibits particularly egregious conduct, a judge or jury can award the plaintiff punitive damages, which are specifically awarded to punish the defendant for its conduct. This is what happened to an eighty-four-year-old plaintiff who slipped at a Safeway store in Oregon. The award for medical expenses was $102,000. The plaintiff was also, however, awarded one million dollars in punitive damages. According to one juror, Safeway presented no evidence that it investigated the claim or made changes to address safety issues after the accident. The plaintiff’s lawyer also argued that Safeway had engaged in evasive litigation tactics, such as failing to preserve video surveillance footage of the accident despite being specifically asked to do so. Many people who have been hurt in supermarket accidents wonder whether they need to retain an attorney to recover compensation. This is especially true when the supermarket (or its insurance company) makes a settlement offer before a victim has even had a chance to speak with a lawyer. It is important to understand that insurance companies (and defendants) want to settle personal injury cases for as little as possible, and they are under no legal obligation to ensure that you are made aware of the actual value of your case. An attorney will help protect your rights by fully evaluating all of your losses – including non-economic damages like pain and suffering and future damages that have not been realized yet – and negotiating a fair settlement that provides you with the compensation you deserve. The personal injury lawyers at Gerson & Schwartz represent clients injured in slip and fall accidents across Florida. If you or a loved one has been the victim of a personal injury accident, don’t go through the legal process alone. Trust a legal professional with the experience to handle your case efficiently, and secure fair legal compensation for all your injuries and losses. Contact our firm today to schedule a free consultation. For more information on how we can help you, call (305) 371-6000, or email us directly at info@gslawusa.com. Se Habla Español.